For Paris and London-based architect / interior designer Thierry Pain, his main focus is to listen to his clients and interpret their ideas into reality. So when he was commissioned to design the interior of a client’s Queen’s Gate Terrace home in London, Thierry was faced with a challenge. 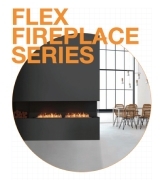 His client wanted an open fireplace in the living room, however as it was an apartment a traditional fireplace wasn’t viable, and nor was there a gas connection. 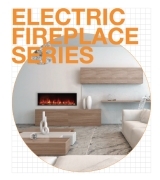 With the living room nearing completion, Thierry learnt about EcoSmart Fires, which had recently been launched in the UK. 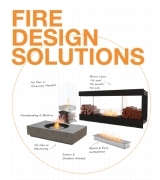 “I chose to use EcoSmart Fires because of the flexibility, and because we couldn’t use gas or wood this was the ideal solution,” says Thierry. 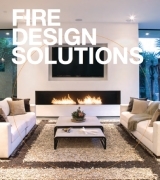 “I also chose the EcoSmart Fire because it’s a design-driven product, is efficient, easy to use and enabled me to install a fireplace in a unique setting. Thierry used three EcoSmart Fire burners for the bespoke fireplace, which incorporates a contemporary stone hearth and surrounds, and traditional exposed brick, which is also used as a design element in other parts of the room. Since completing the Queen’s Gate Terrace project, Thierry has specified EcoSmart Fire models in three more residences. For one, he has prepared a place for an XL 900 Burner. “I would also be very interested to have an XXL Burner, or 1.5m long burner, for future projects,” he adds.